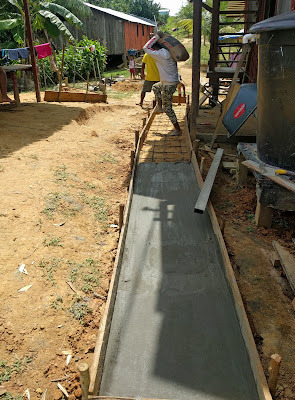 The first concrete volunteer/villager-built walkway in the village! 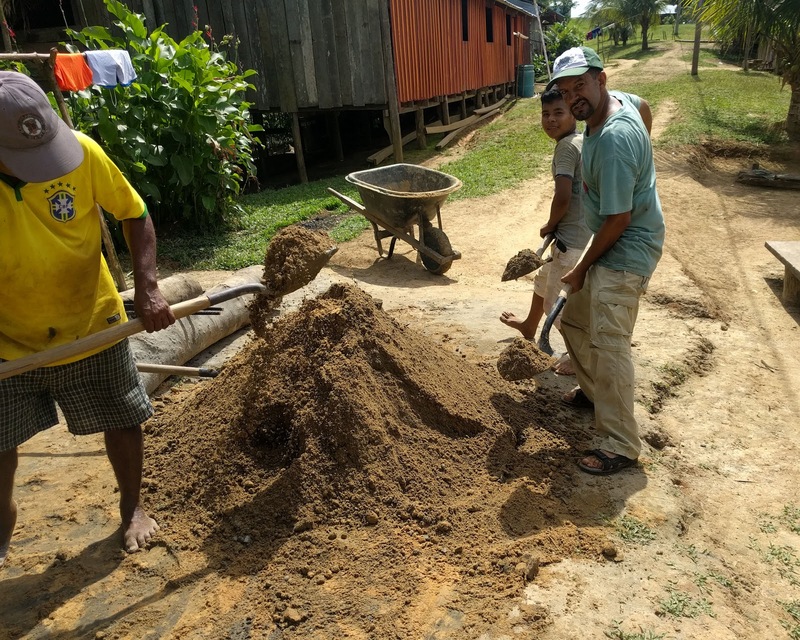 After a rainy day, of which there are many in a rainforest, the walkways of the village become pits of slippery, filthy, mud. People fall. Shoes and feet are caked with built-up layers of slimy earth. When the school children arrive at school mud-covered, they are not allowed to enter the classrooms. One solution is to wait for the government to give funds and to do the work. After 10 years without one government-sponsored walkway, some villagers have decided to build it themselves. In the first picture, Gustavo is shown next to the walkway forms. 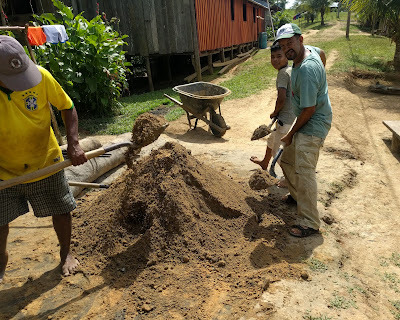 Gustavo has saved the money for cement and rebar. He has collected and carried sand from a local river to mix with the cement. 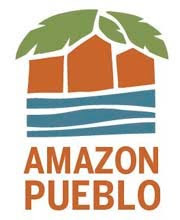 Ben Angulo, a volunteer with Amazon Pueblo, helped Gustavo and his family to bring the sand and to mix and pour the concrete. Gustavo's son, Duvan, is carrying a bag of cement. 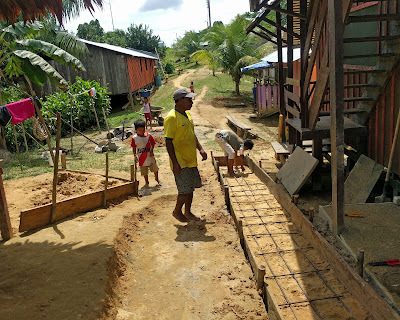 The walkway was poured in one day. This project is an excellent example of the villagers taking the initiative to find the solutions to their problems!